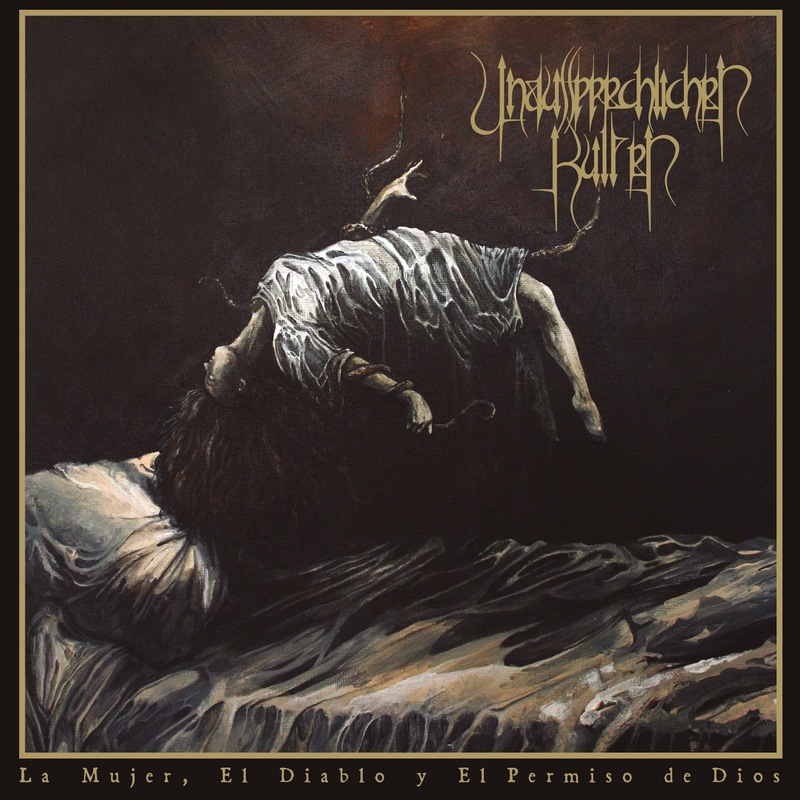 Pentagram Chile / Unaussprechlichen Kulten - Ritual Human Slaughter/La Mujer, El Diablo y El Permiso de Dios - split 7" EP. For fans of Death Metal it really doesn’t get any bigger than this as two of Chile’s finest purveyors of death, Pentagram Chile and Unuassprechlichen Kulten, combine forces to bring us one of the most anticipated 7” split Eps of 2015. 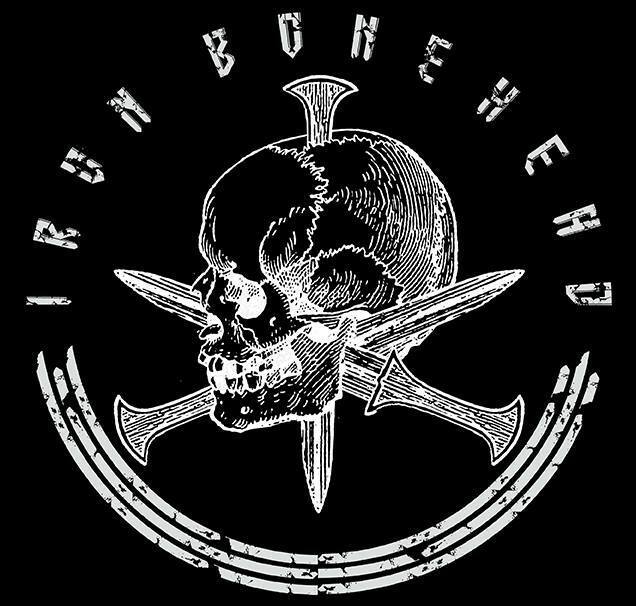 This makes for an extremely special release as the 7” features an exclusive track from each band in what must definitely be a bit of a coup for Iron Bonehead. South America is well known for bringing us some of the world’s best underground metal and here we have two of Chile’s best bands. Pentagram Chile was formed way back in 1985 by Anton Reisseneger (lead guitar/vocals) and Juan Pablo Uribe (bass) under the name Pentagram, with the band later changing their name in May 2012 to Pentagram Chile, out of respect for U.S. doom band. Due to a number of breaks for the band it would be 2013 before they brought us their sublime debut album, The Malefice, which was extremely well received world-wide. Pentagram’s music is an extremely potent blend of Thrash and Death Metal elements with plenty of the barbarity that’s commonly associated with their homeland. Their track, Ritual Human Sacrifice, marks their first return to the studio since the recording of their debut and as a result should have fans more than excited. Pentagram kick things off at a slow yet menacing pace which soon picks up and with Anton’s recognisable, twisted vocal coupled with brief, squealing guitar solos this is ,music befitting of Pentagram. A slightly cleaner production level give this five minute track a more honed and focused sound without losing any of their usual ferociousness or barbarity. Not only is this track a worthy successor to those from The Malefice it further cements Pentagram Chile’s status as an underground force to be reckoned with, here’s hoping there’s no more career breaks for the band and they don’t take as long as previous to bring us another full length, their music is simply too good for that to be allowed to happen. Unaussprechlichen Kulten have been more prolific with their output and amongst a number of demos, compilations and splits they have also brought us three full length albums since their inception as Unaussprechlichen Kulten in 1999 –previously known as Spawn between 1997 and ‘99. Their most recent album was the unbelievably good Baphomet Pan Shub-Niggurath, the review of which you can read HERE. Unaussprechlichen Kulten takes their name from a fictional book by H.P. Lovecraft mentioned by Robert E Howard in his short story “The Black Stone” and they play Death Metal of a very high standard with lyrical themes centric to the Cthulhu Mythos. 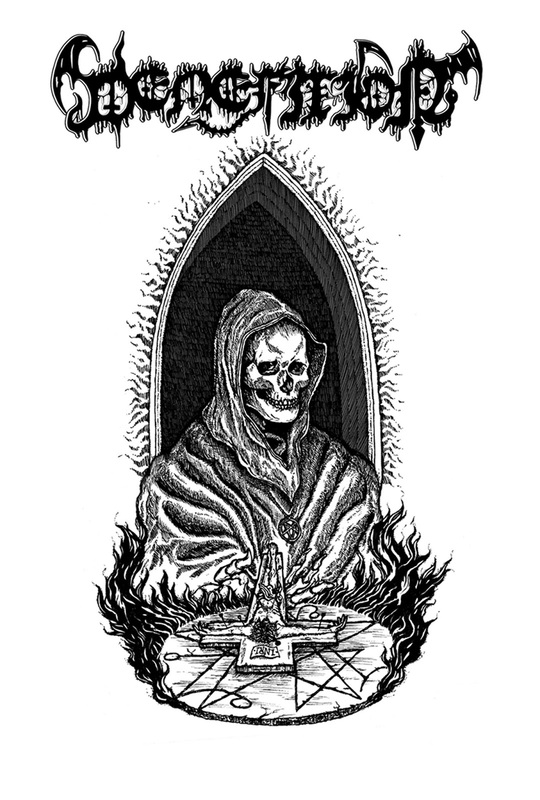 Their offering for this split is “Intro - Baphomet Pan Shub-Niggura” which, despite being the title of their previous album is, as previously mentioned, a new and exclusive track. 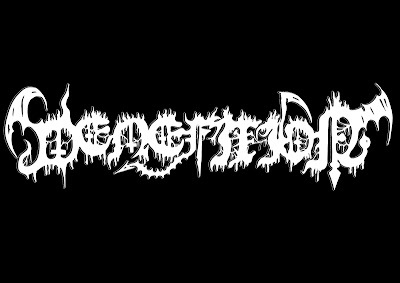 Here you have five minutes of cavernous yet ferocious blackened death metal that goes straight for the jugular establishing and maintaining high levels of heavy, intense blasphemy from the off. As with Pentagram, this is one of the best death metal bands about and their music doesn’t require over-description, if you haven’t heard them then shame on you but you can redeem this shame by catching a listen at your first opportunity. Both of these bands are part of the underground elite from South America and each succinctly delivers the goods with their respective tracks. Due for release in November this is one of the biggest “no brainers” of the year when it comes to purchase, if you love death metal you simply must own this, it’s a combination of bands we can usually only dream of. 10 out of 10. Pentagram Chile / Unaussprechlichen Kulten - Ritual Human Slaughter / La Mujer, El Diablo y El Permiso de Dios. November 2015. 01 – Ritual Human Sacrifice. 02 - Intro - Baphomet Pan Shub-Niggura. 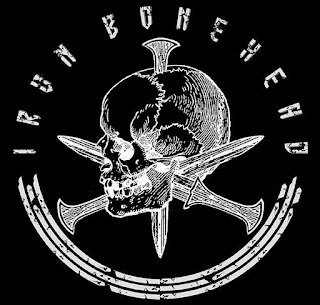 One of Iron Bonehead’s most admirable qualities is their peerless ability to sniff out talent to bring us fresh and intriguing music from all quarters of the globe. 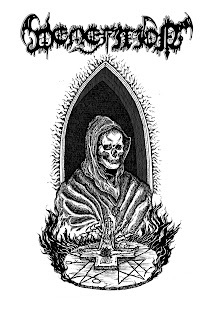 Once again they have delivered the goods by plundering the bowels of Hell to bring us Venefixion who will release their demo tape, Defixion, during October. Venefixion was formed in 2013 by K Desecrator (Australia) and F Goathroat (Germany) who began turning their maniacal dreams into reality when they both moved to Brittany in 2015 and added W Cadaver on lead guitar. With the intent of creating tormenting and barbaric death metal the members agreed “to extract elements from bands like Grotesque, Repugnant, Autopsy, Repulsion, Morbid Angel, and Massacre, all topped off with frenetic, Vomitor-ian solos.” La Sect Rouge opens proceedings with a short intro that soon disappears in a flurry of distortion and demoniacal growls that set the tone and pace for the rest of the demo. For a demo, in fact for any type of release, both the production levels and quality of music are exceptional, exceeding standards achieved by many more established bands. The pace is frenetic throughout, occasionally interlaced with an odd slower section and peppered with those “Vomitor-ian solos” alluded to by the press release. There are plenty of elements at play during the four tracks on the demo but what caught my attention most is the sheer intensity that Venefixion use to bring us their Death Metal that sounds both fresh and exciting. Not only is this a very exciting release it’s also one of the best demos I’ve heard in quite a while. I’ve often said there’s a very fine line between creating effective death metal that pays homage to the past without sounding like a blatant retro rip off that plagiarises past glories. It’s a tricky and dangerous path indeed but one that Venefixion treads with the greatest of ease. Defixion is set for an initial release of three hundred tapes but the music is that good I feel it will only be a matter of time before it’s, deservedly, released on vinyl or CD. This is a shining example of why we love the underground and a reminder that death metal can still sound exciting. Outstanding 10 out of 10. 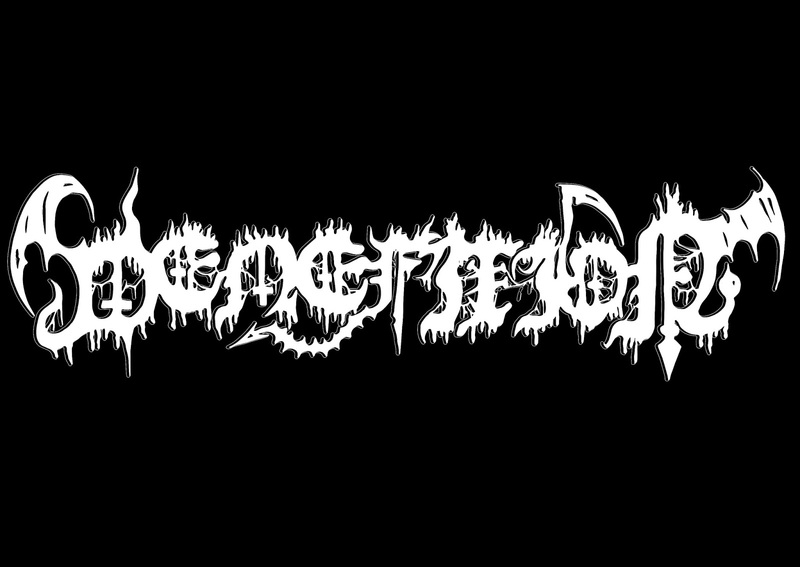 Venefixion – Defixion Demo. October 2015. 04 – Aghori, Ashes of the Dead. 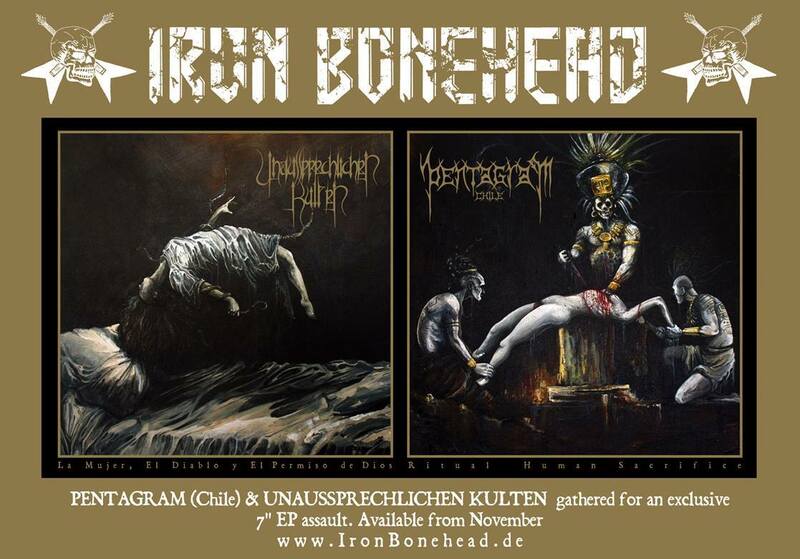 More information on both releases is available from Iron Bonehead Productions.